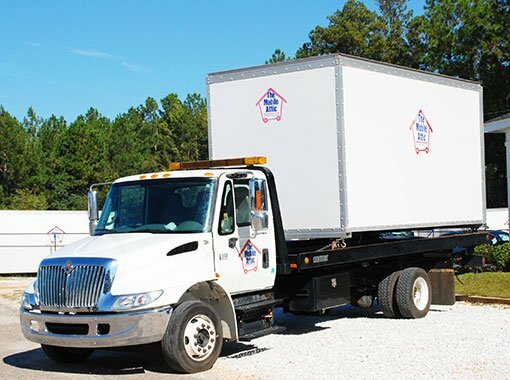 Portable storage container rental in the Tuscaloosa, Alabama area. We are a locally owned and operated company. The Mobile Attic portable storage units are the perfect solution for moving or storage needs. We provide short term portable storage rental and long term portable storage rental for home or office. We deliver the portable storage unit to you. Store furniture and personal belongings while preparing to move or while waiting to close on your new home. Have access to your personal property while installing new floors, remodeling or repairing your home after water damage. Convenient access to your belongings after downsizing from a larger home or combining households. On site storage solution with easy access to your belongings during the transition of a family member moving into your home. Store seasonal inventory conveniently on-site when there is no room in your store or restaurant. Conveniently store furniture, machinery and files during office remodeling or repair after water damage. Securely store small tools and equipment conveniently on the jobsite with easy access. My husband is a trim carpenter. We rented a Mobile Attic for our house. 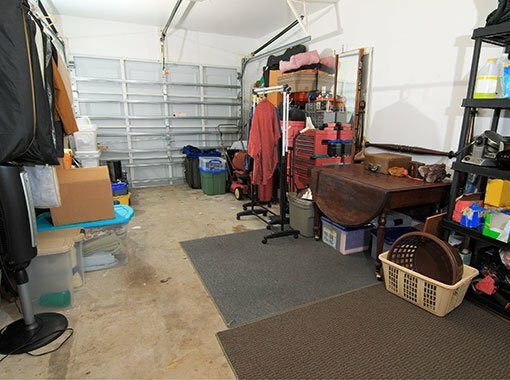 It is the perfect place for for him to store his tools and extra wood and trim so it doesn’t clutter up our garage. Barbara K.
We had water damage in our basement from a busted pipe. All the carpet had to come out. We used a Mobile Attic storage container to store all of our furniture and personal stuff during the clean up and repair. It was so nice to have all of our things still at our home where we could access them. It made a very bad situation much easier to deal with. Thank you. James D.